“We need to stop groping in the dark when it comes to pediatric drugs. Children are suffering and dying from diseases that we can treat, and yet we don’t have the key data we need to deliver the appropriate, effective, and affordable medicines that could save them.” Back in 2009, Doctor Carissa Etienne¹ was already condemning the lack of therapeutic treatments specifically developed for the pediatric population. Although one fourth of the world’s population is made up of children under the age of 15, drugs for children are not developed as quickly as they are for adults. The first reason behind this discrepancy is ethical. The history of abusive medical experiments conducted on humans in the mid-20th century is partly responsible for this reticence. There was longstanding concern about weakening protections for the most vulnerable. As a result, children were excluded from clinical research, which focused only on adults until the 1980s. At this point, opinion gradually shifted. It became clear that for children to attain the same health outcomes as the rest of the population, they needed specific treatments that were adapted to them, and therefore studied explicitly for them. The results of studies conducted on adults cannot be transposed to children. 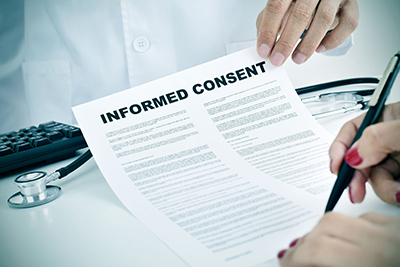 Yet one main obstacle remains: obtaining the informed consent needed to participate in a clinical trial. While this consent can be hard to obtain from adults, it’s even more difficult for minor children, because it must be given by both parents. Another reason is economics. While adults are a homogeneous group, the pediatric population is split into several age ranges.³ Each group has a specific metabolism that reacts differently to treatment. A newborn eliminates the active principle slowly and requires low doses. The opposite is true for an infant. As a result, specific formulations must be developed and different trials are needed for the different age groups, making studies much more complex and expensive. Another key difference is that most illnesses that affect children are unique to them, or are orphan diseases.³ This is the case in oncology, where 80% of pediatric cancers are specific to children. Clinical pediatric research therefore requires more significant resources, and a return on investment is more difficult to obtain. Yet specific clinical trials must be conducted on this population. Since many drugs do not have a pediatric Marketing Authorization, prescriptions of products that have not been tested on this population continue to this day. They are prepared using formats designed for adults: drugs are removed from their packaging to make smaller doses, tablets and capsules are split, dosages and dilutions are adjusted, etc. Products without pediatric Marketing Authorization are used off-label, without pediatric doses, and without formulations adapted to children. This exposes them to errors in use, errors in dosage, risks of toxicity, and treatment failure. Children are not miniature adults: their organs are in different stages of growth, with different metabolisms, and their immune systems are constantly changing. The European Pediatric Regulation was implemented in 2007. It requires pharmaceutical laboratories to submit a Pediatric Investigation Plan (PIP) for products under development as well as those that already have Marketing Authorization or are off-patent. Under the terms of the PIP, laboratories publish the necessary measures to prove the drug’s quality, safety and efficacy on the pediatric population. In return, laboratories are given patent extensions or exclusivity. There has been an increase in pediatric clinical trials as a result. These trials now include populations that were previously not evaluated because of their fragility, such as newborns, and the required number of participants has been reduced to facilitate recruitment. 10 years after the implementation of the European Pediatric Regulation, the situation is encouraging. However, the drug development cycle is very long and it will take several years for the results to be clear. ¹Dr. Carissa F. Etienne was elected Director of the Pan-American Health Organization (PAHO) by the Member States of the Organization on September 19, 2012. She began her five-year term on February 1, 2013. From March 2008 until 1 November 2012, Dr. Etienne served as Assistant Director-General for Health Systems and Services at the World Health Organization in Geneva, Switzerland.